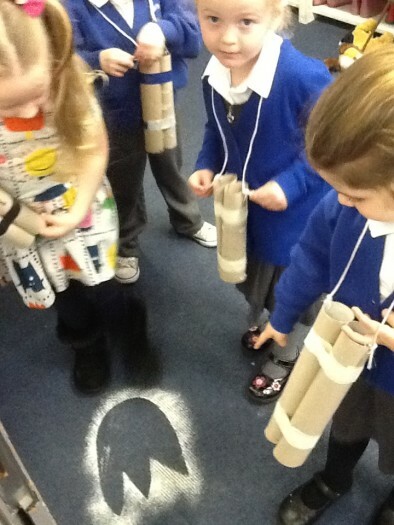 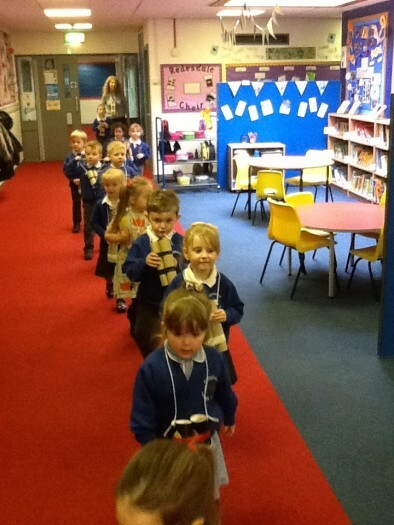 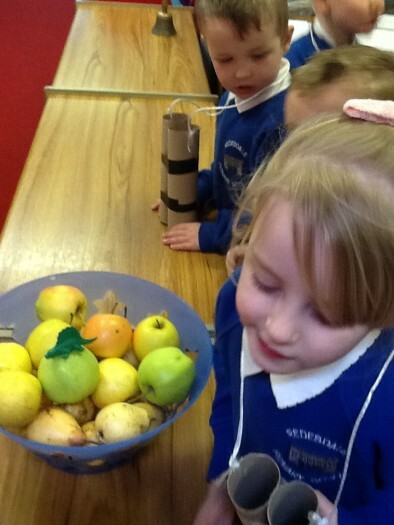 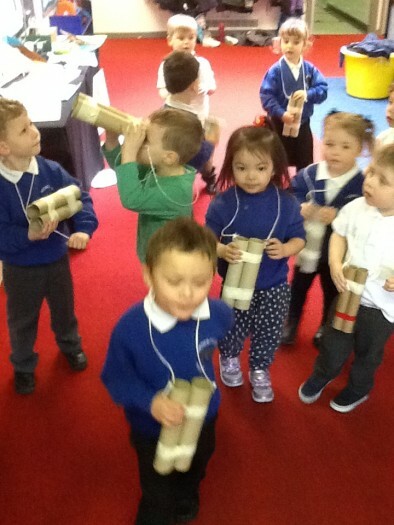 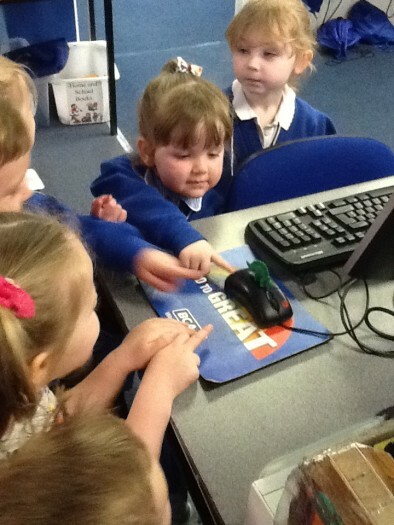 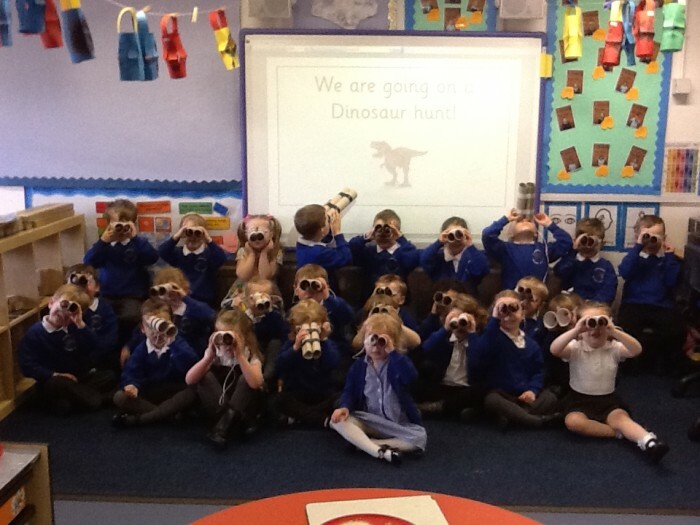 Redesdale Primary School » Nursery go on a Dinosaur Hunt! 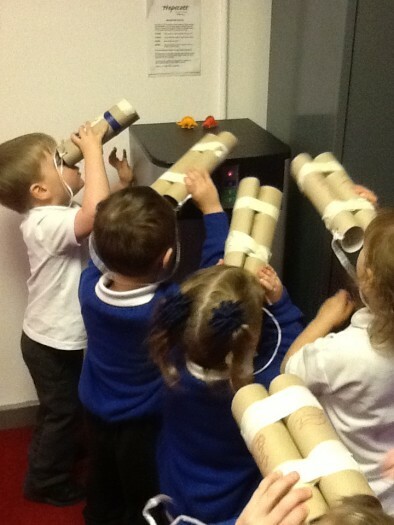 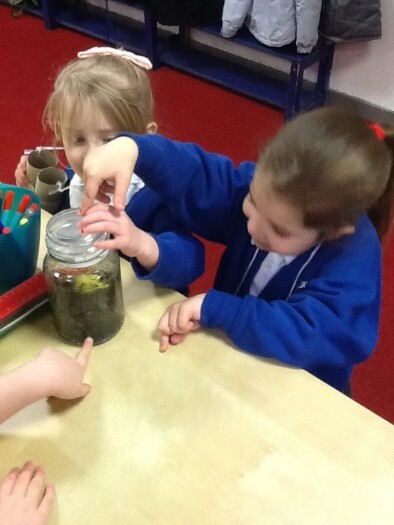 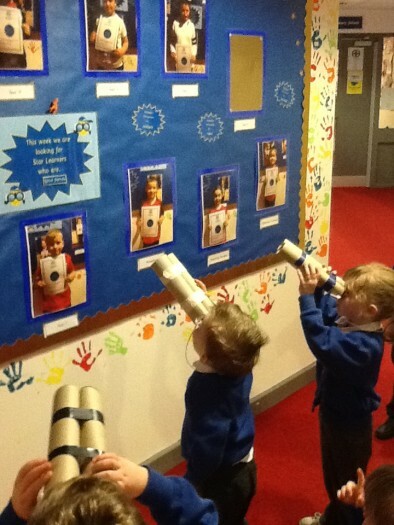 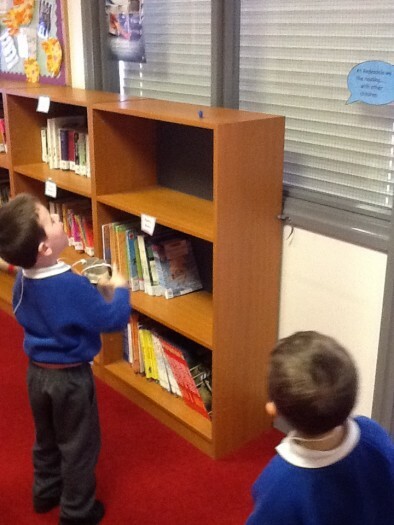 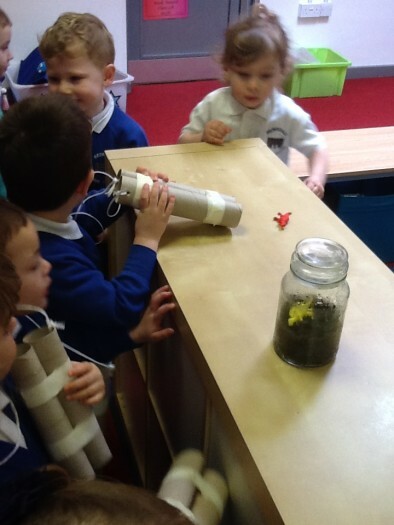 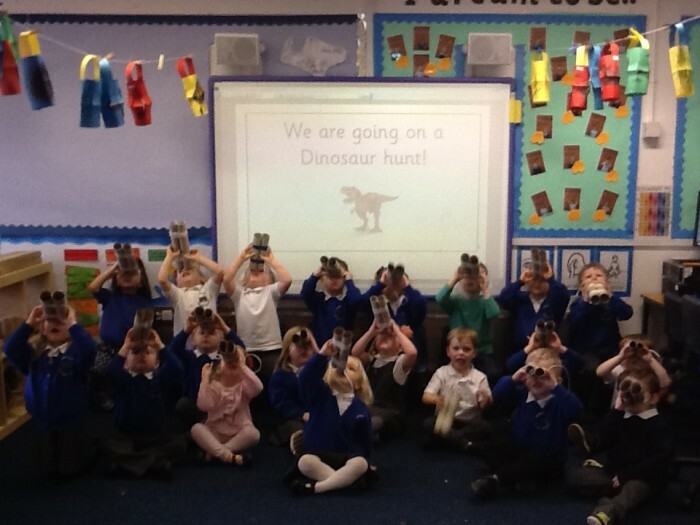 Nursery go on a Dinosaur Hunt! 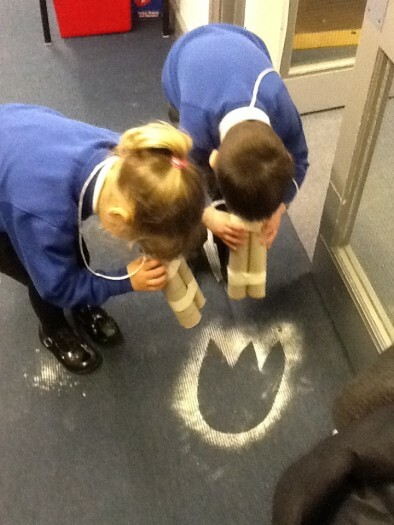 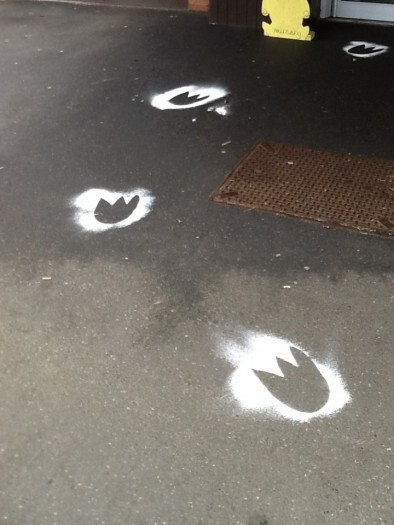 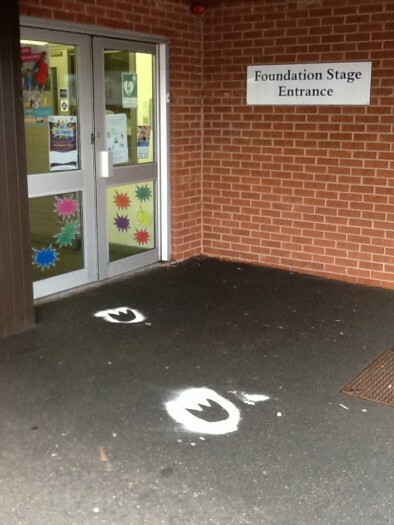 The Nursery children found dinosaur footprints when they arrived at Nursery today! 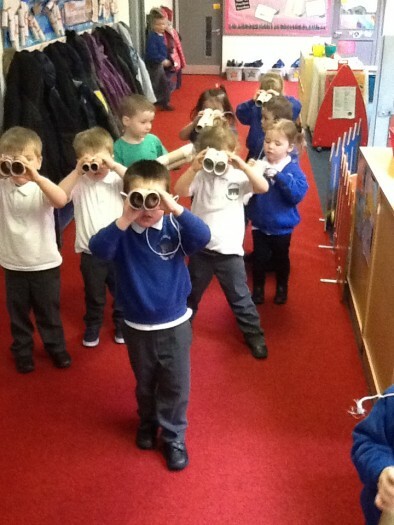 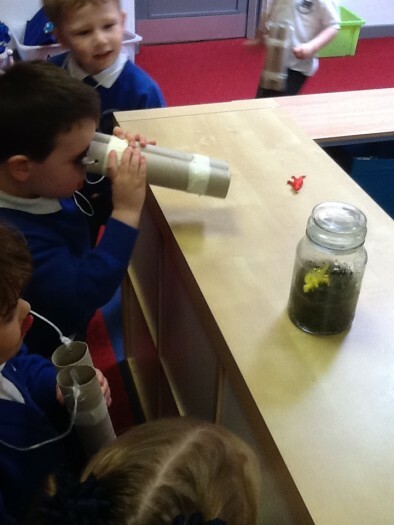 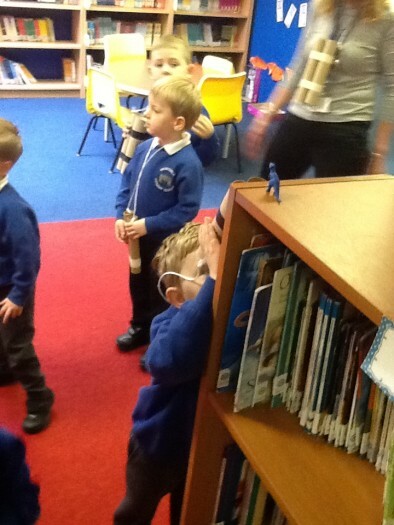 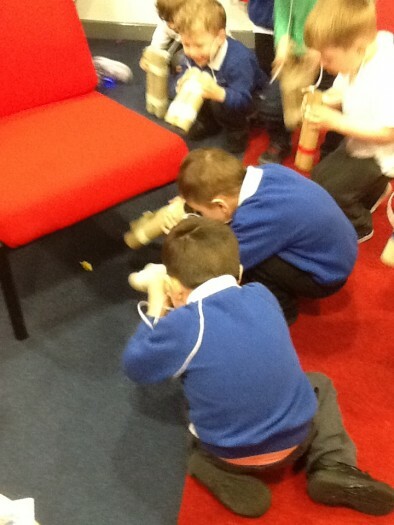 We put on our binoculars and set off on a dinosaur hunt. 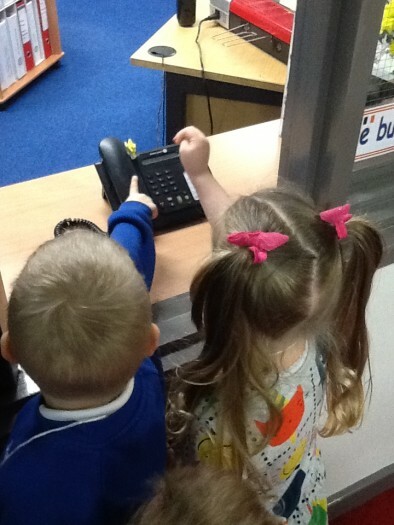 We swam across rivers, plodded across the swamp and finally we found our first dinosaur…on top of Mrs Ogley’s telephone! 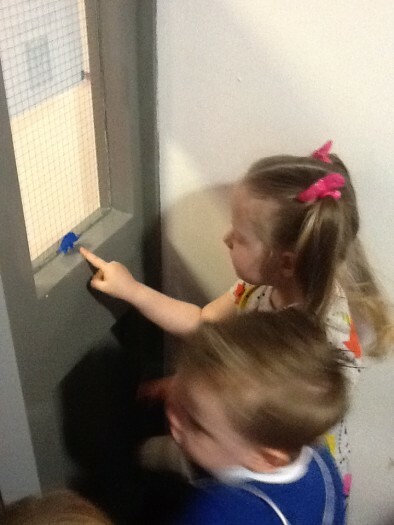 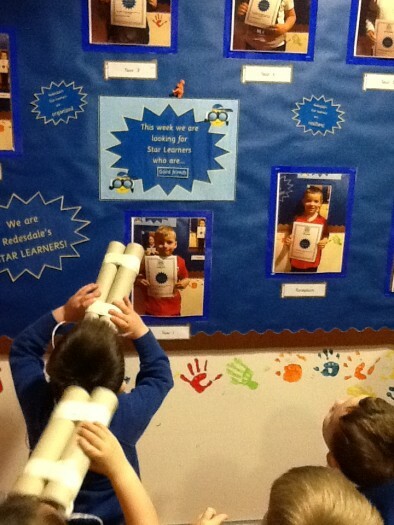 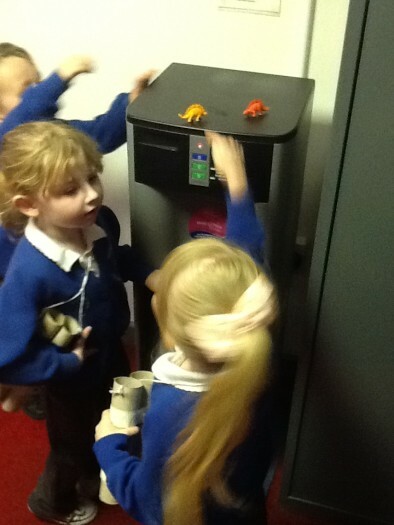 We carried on with our adventure and found dinosaurs all over the school – we even found a T-Rex on our Star Learner board! 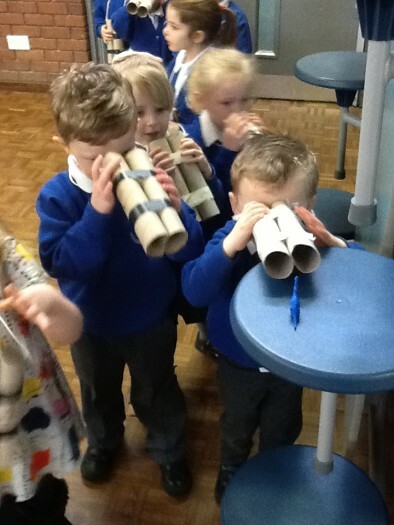 Well done Nursery, you were excellent explorers.